Southern Lights: Architectural & Lighting Design & Installation is an AOLP certified company in every aspect of landscape lighting. Compare us to our competition. Certified Low-Voltage Lighting Technician (CLVLT) Throughout the United States, there are no clearly defined national standards for low voltage outdoor lighting. In most states, the test given to license low voltage contractors has little or nothing to do with the actual work that they perform. The lack of landscape lighting standards has a profound impact on the safety and quality of services that we provide. This standardized certification measures the knowledge and capabilities of our abilities. Southern Lights of NC carries the only CLVLT license in the state of NC. The exam consisted of a written exam and seven half-hour labs. Certified Outdoor Lighting Designer (COLD) Southern Lights: Architectural & Landscape Lighting has obtained AOLP’s 4 year degree. This certification is an advanced level of specialized training in landscape lighting design. The COLD program is a discipline of engaging lighting designers to analyze their work in peer group studies and through in-depth subject matter. Landscape lighting design, is very subjective and cannot be easily tested upon without a set of rules to memorize per se, but there are a series of fundamental principles that are universally acknowledged to form the basis of “good and responsible” lighting design. Therefore, this program has helped shape Southern Light’s design excellence and has helped to develop our own individual lighting design style. Southern Lights of NC is a proud member of AOLP (Association of Outdoor Lighting Professionals) and is involved in the ongoing continual education with this certification. Southern Lights believes it is in our best interest to be proactive in our efforts of the landscape lighting industry to practice “good and responsible” landscape lighting design. *Our parent company, Southern Exposure Landscape Management also carries the following certifications that may be helpful during your landscape lighting installations should the need arise to alter any landscape or hardscape during the landscape lighting installation. Southern Exposure Landscape Management is trained in the design and installation of segmented retaining wall systems by the National Concrete and Masonry Association (NCMA). We currently have 2 certified SRW installers employed with Southern Exposure. Let us help you select the material that best suits your lifestyle and tastes. Segmented or segmental retaining walls (SRWs) are gravity structures — they depend on the weight of the block, not on mortar, to maintain their integrity and stability. These dry stacked blocks are used for large and often angled or sloping retaining walls and also for landscape elements where there is little soil pressure behind them — around trees and plantings, rising no more than one or two courses tall. Click here to to learn more about NCMA: Certified Segmented Retaining Walls and Interlocking Pavers. These superior products are beautiful and offer the maximum durability and ease in maintenance. There are countless color, material, and shape variations for you to choose from to best fit your project. Southern Exposure Landscape Management is the only current Belgard Authorized Contractors in Greensboro, Summerfield, Oak Ridge, Browns Summit, Jamestown, and the surrounding Piedmont Triad. What does that mean for you? We’ve earned a reputation for top-notch service and quality products that exceed industry standards. 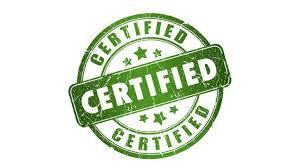 Our certification ensures that your project is done to a set of strict standards that will last a lifetime. Our work is reviewed, checked, and inspected and if found to be sub par, our certification could be removed. The process to become an Authorized Belgard Contractor took 2 years to complete. We value our hardscape trade and the professionalism that should come with it and we are committed to continue that level of service and commitment to quality on every project. Ensure your installer is credible and can back up the installation with a great warranty. Let us show help you realize your dream of a beautiful outdoor living space with locally made pavers and walls systems right here in Greensboro, NC. Southern Exposure Landscape Management also currently carries the prestigious Techo-Pro certification from Techo-bloc, one of the areas highest rated hardscape companies with excellent product selection. A minimum two years in business under both ICPI and NCMA certifications is necessary to achieve this status level of professionalism and quality. We carry all necessary insurance and licensing and have shown a history of quality workmanship. If you think it’s expensive to hire a professional, try hiring an amateur. Let us show help you realize your dream of a beautiful outdoor living space here in Greensboro, Summerfield, Oak Ridge, Browns Summit, Jamestown, and the surrounding Piedmont Triad. Southern Exposure Landscape Management carries Techniseal’s Certified Applicator License. The program is a nationwide course on cleaning, sealing and joint stabilization of pavers. Backed by Techniseal’s 25 years of experience, our certified technicians have a wealth of knowledge. By becoming a Techniseal Certified Applicator, we are able to offer our clients the peace of mind they want when dealing with professionals. Click here to learn more about Techniseal. Southern Exposure Landscape Management is dedicated to keeping our employees on the cutting edge of our industry. This involves continual growth in industry education and aquiring and maintaining all required certifications and many optional certifications. We currently have one NC Ground Pesticide Applicator technician, which is required by the state for spraying fungicides and weed control products. Why should you use Southern Exposure? Please click here to compare us to our competitors.